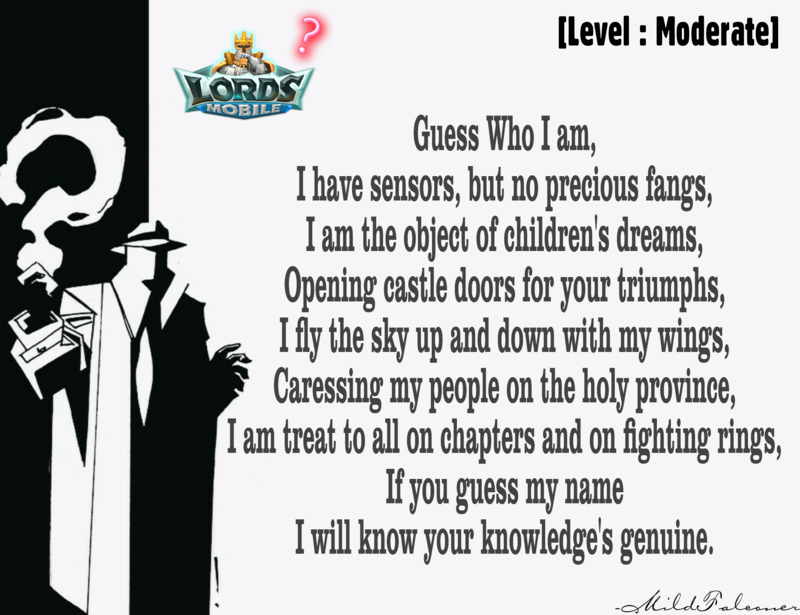 [Poetical Riddle] Riddle Me This! Challenge your brain with this Lords Mobile Riddle; This can be anything you see/observe in the game. Dole up your thinking cap and start joining puzzle with the poem. Comment below and first correct comment will be given 500 points, and other 10 correct randomly chosen participants shall be given 200 points each; If you can reason out which clue(s) make you to the conclusion, it will be warmly welcomed.